Home/Articles/How popular are our Trolleys? Customers order by the truck load!! The Healthcare and Catering sectors demand high quality storage systems that are functional and hygienic. we are recongnised for our ability to meet a wide range of demands with our selection of portable shelves trolleys and carts. The Novalok Implant trolley is a popular must have in the busy healthcare environment. Epoxy powdercoated over a zinc passivated coating provides a durable finish to the system plus gives an excellent aesthetic appearance. 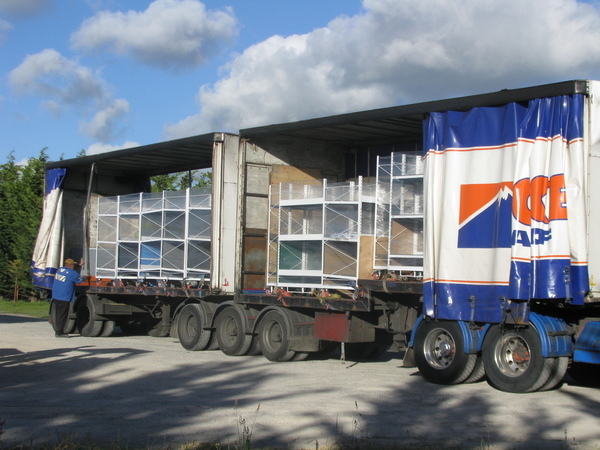 The versatility of the Novalok storage systems allows us to design and build portable storage equipment for carious types of end use applications. As most of the items are non-standard our in-house design team can assist in designing and consulting in view of details that best suits the requirements. Give us a call today to discuss the endless options available. Available in popular Canvas Cover or Clear. For extra security mesh cages can be used. The duoguard finish is electro-galvanised, bright passivated steel, coated with an Artic White polyester gloss powder as standard. The dual coating will ensure that the steel will maintain its corrosion resistance even if the shelving is scratched. Skin will not freeze to this finish if in contact in sub-zero enviroment. The Novalok Implant trolley is a popular must have in the busy healthcare environment. Epoxy powdercoated over a zinc passivated coating provides a durable finish to the system plus gives an excellent aesthetic appearance. Novalok Implant Trolley comes with our most popular shelf options: Novex. 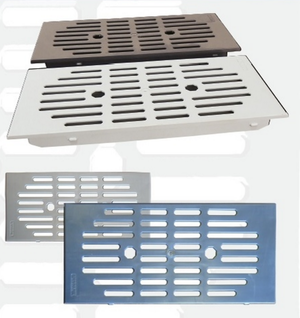 Novex plast panel shelves, 200mm wide polymer alloy shelf panels with vented open grid surface, available in Charcoal and Cloud (light grey) standard colours. Smooth crevice-free top for ultimate hydiene. 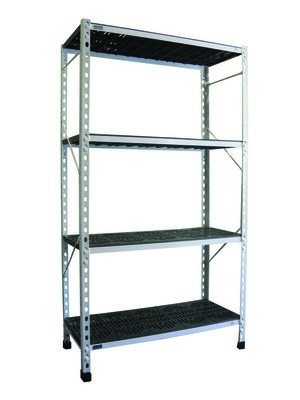 Available in 3 sizes to suit 300,450 and 600mm deep shelving. Able to take wire dividers for separating products.